With the pad abort successfully completed, only one more testing milestone remains before the Dragon II is officially certified as the heir to the space shuttle–the first privately-made spaceship, by the people, for the people. That test is an *in-flight* abort test, where they’ll perform the exact same test flight of the escape system from a rocket that’s already in flight. It’s the spaceflight equivalent of “tucking-and-rolling” out of a moving automobile. Meanwhile, Take Back the Sky volunteers continue to table at as many of the smaller, regional cons as we can get into. We (including those of you brave enough to misbehave) keep the snowball rolling, amassing more signatures and letters to send to SpaceX CEO Elon Musk and President (and outed Browncoat) Gwynne Shotwell. Next year is the do-or-die, now-or-never season for Take Back the Sky. See, preparations for your average spaceflight mission begin no less than a year in advance with selecting the crew, assigning the payload, and so forth. 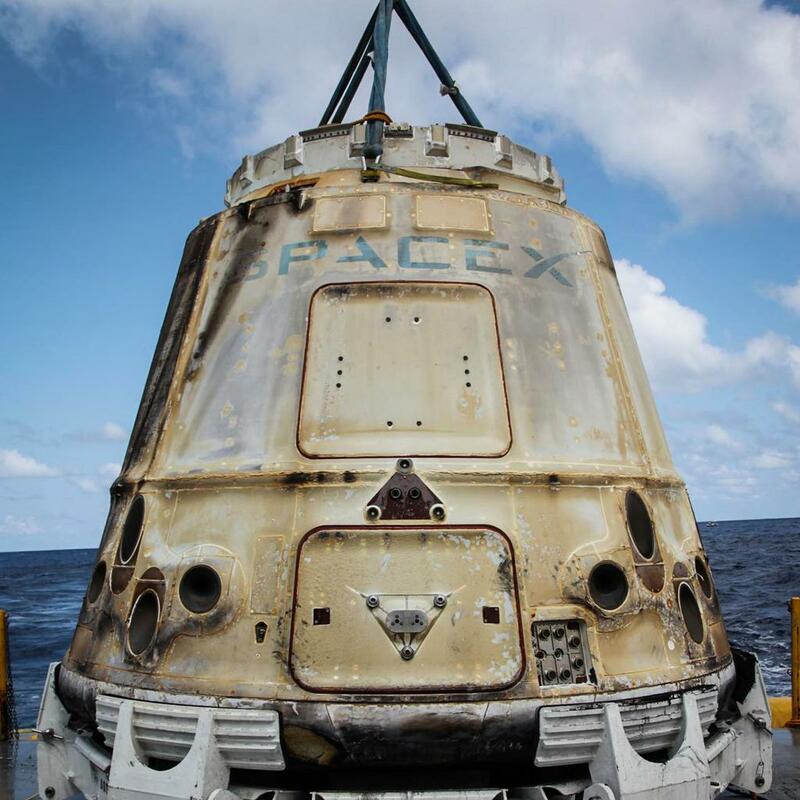 Since the first manned Dragon II flight will likely happen around 2017, that means all those major decisions will be made in mid-to-late 2016–decisions like what the ship will be named. Fortunately, the timing allows us to make one final push for one last con season. We have every intention of stepping up to the larger con events, such as San Diego Comic-Con and Dragon*Con–events that SpaceX itself attends–in a last-ditch, all-in campaign. (I know that I’d love to present a panel on “The Science of Serenity.“) While we’re there (or heck, even if we’re not), we could have costumed Browncoats take pictures of themselves in the cockpit mockup that SpaceX brings to the cons and hashtag them (#ShinySelfie, anyone?) to draw more attention. Heck, so long as we’re there, we could either just cart the bag of mail to SpaceX’s booth and say “this is for your boss,” or drive over to their office to hand-deliver it ourselves. Either way, if we (and you) are successful in swaying them, we’d probably find out around the holiday season, or just after New Year’s. We did it! Whether because Musk, Shotwell, and the hard-working people of SpaceX are geeks and Browncoats too, or because we all succeed in just wearing them down, let’s say they accede to naming the first private spacecraft after Serenity (all too fitting, if you think about it). Shiny! We and the public at large celebrate… and then we change gears. We can’t very well just call it a day after winning one battle, now, can we? If we succeed (and we have a good chance, if we can get more volunteers), we’ll then switch tacks from leading a campaign to organizing an event. The plan is to network and collaborate with the many great people we’ve been lucky enough to work with on Can’t Stop the Serenity and Yuri’s Night events to plan a launch party unlike anything else in all of history. Part CSTS/Browncoat Ball, part comic con, part Yuri’s Night “NASA cuts loose” dance party, with a full helping of BLAST OFF and misbehavior, it’ll be day and a night to be remembered! 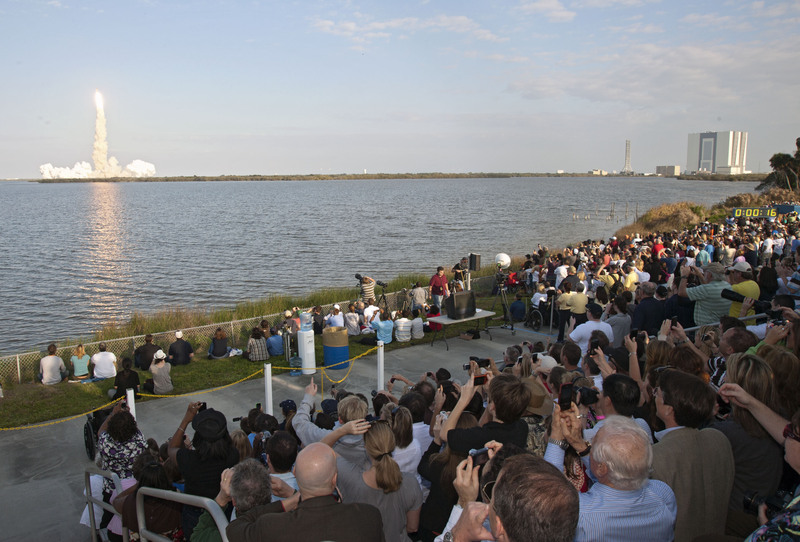 Journalists and news reporters descend upon Cape Kennedy to cover the historic first launch of American astronauts aboard an American ship since the shuttle’s retirement six years prior. A portion of them, however, get diverted to cover a quirky “human interest” facet to the story: the single greatest gathering of Browncoats since the premiere of the feature film Serenity. Fans and true believers will be welcomed to the con/launch party from all over the world. Guests and speakers could include astronauts, NASA scientists, and SpaceX engineers to talk about the work they do, and why the ship out the window named Serenity is so gorramned special. Local schools, universities, and other students could present their works in a science-fair-like setting–costumed Browncoats and rocket scientists alike inter-mingling. It’ll be beautiful. The event itself could possibly even host a Can’t Stop the Serenity screening. In addition to Equality Now and Kids Need to Read, a portion of donations and proceeds from admissions to the launch party could be given to relevant charities like the Challenger Foundation. This wonderful organization was actually founded by the surviving families of the astronauts who perished aboard Space Shuttle Challenger to set up small interactive education centers with their own miniature space camps all over the country. At these centers, schoolchildren can partake in the ultimate hands-on learning by conducting simulated space missions from full mock-ups of mission control desks and even the space shuttle’s cockpit itself–after all, the last thing that those astronauts would have wanted would have been for kids to be afraid of space after what happened. Unfortunately, the Foundation has hit hard times since the recession, and has been forced to close down some centers due to a lack of financial support and donations. If there was ever a suffering cause that deserved to be saved by some big damn heroes, I submit that this is it. Speaking of which, at some point, yes, it’s not only possible, but quite likely that some of the cast and crew from Firefly and Serenity will appear and say a few words. About 45 years ago(!) when the first space shuttle was christened Enterprise after a similar, successful campaign by Star Trek fans, NASA themselves had a simple press event and ceremony, including William Shatner and Leonard Nimoy. Even if no such “official” event is ever coordinated by NASA or SpaceX, I find it hard to believe that you could keep the cast or Joss Whedon away–work schedules permitting, of course. Well, there’s just nothing I could write that does justice to the experience of watching a launch in-person and up close. I could try to say some pretty words about the sensory aspect of it, how the overpowering bass boom of the engines eclipses all other sound, yet seems to gently wash over you like waves upon the beach. It all falls short of the burning joy that grips your heart to watch fellow members of the human race ascend a pillar of flame and fume into the heavens to “slip the surly bonds of Earth, and touch the face of God.” There’s nothing that could follow that up…but we might as well have an after-party! It could be at a true Floridian venue with old timbers and driftwood right out of a Jimmy Buffett song that serves fancy drinks with umbrellas in them, where you can stay out all night and never get cold, while Browncoat bands like the Bedlam Bards and Big Damn Heroes bring the house down. Who knows? We have a couple of ideas of things we could do afterwards that we haven’t yet shared. It’s said that a man once congratulated his grandson upon some achievement of youth by saying “Great, kid, you’ve had your moment–now go out and have another!” Frankly, I’d be happy if along the way, it led to a regular annual CSTS in the central Florida area. Maybe it could even be hosted in conjunction with Universal Studios Orlando (Serenity is their film, after all), and who knows what that might lead to (my fingers are crossed for a Serenity ride attraction)? 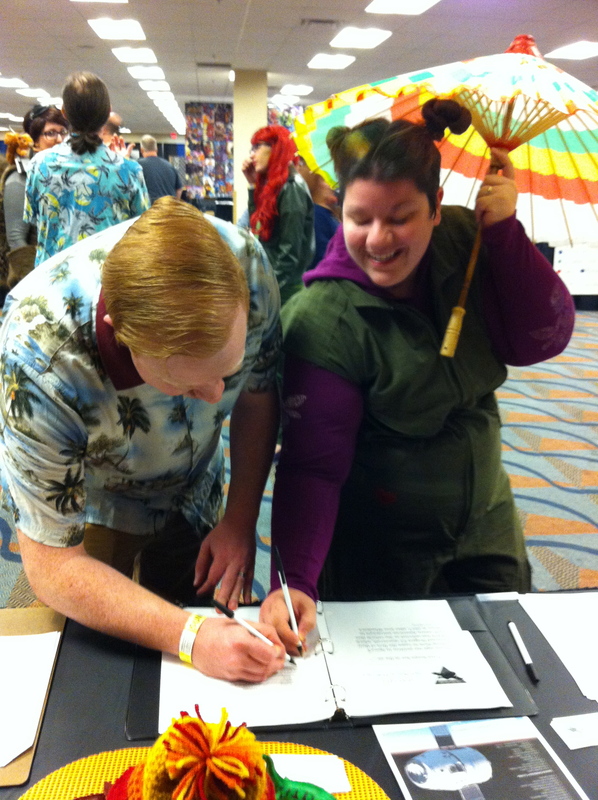 Most importantly, people won’t just see that Firefly still has a following. If we’re all successful, Take Back the Sky will send a powerful message that the people still support the manned exploration and colonization of outer space in a way that will be near impossible to ignore. Right now, it’s only a few guys going to as many smaller cons as their budgets and their responsibilities allow. We’d love for more people to take up the banner alongside us wherever they are, but we have only had one or two people do so so far. Up to this point, there haven’t been many people who have been willing to follow our lead and go to local cons and table themselves. If that doesn’t change–and soon–neither will our odds of a ship named Serenity. Another sticking point has been Take Back the Sky’s struggle to move up to the “major leagues” of events like San Diego Comic-Con and Dragon*Con. We had actually hoped to make it this year, but just barely fell short due to various factors. We’ll just have to save up for that one last chance to campaign in person over the next year (because we would never feel right about soliciting for crowdfunding, donations, or other panhandling to ask people to pay for us to take a trip to a con) and then hope we can finally get “called up” from the wait-list and get our shot on the big stage. If it comes down to it, though, we’d love to partner with any other Browncoats groups or other organizations who are already attending those elite cons, so get in touch with us if you’re going and would be interested in helping to boost our signal. Finally, the whole point of tabling, of course, is to be able to reach far more people and to encourage them to sign the petition or write form letters. For the former, we’re considering branching out to an online platform with more exposure. If you have any recommendations, we’d love to hear them in the comments below (“What are you kids into these days?”). For the latter, technology and instant messaging have conditioned most of us to be very hesitant to make the small effort it takes to write a very short, simple letter. Anyone who’s had difficulty finding employment and who’s had to write countless cover letters can relate–and yet, for the same small amount of effort one of those takes, you can have far more of an impact. If you’ve been saying “I’ll get around to it,” just open up Notepad or grab the nearest scrap of paper and just scratch out a few notes. You’ll find that it makes gathering up the willpower to write the letter itself much easier. Now that we’ve drawn back to today, the view from here of writing letters or tabling might not seem as fun as imagining yourself on the beach watching the launch. Wishing never accomplished anything though, and a certain Jayne Cobb had some rather choice words to say about “wishes.” To put a lighter spin on it, a famous actor recently said by way of counsel to youth that “opportunities are all around–the thing is, they look a lot like work.” Being a Browncoat is about both believing AND working towards something dear to you. So, keep your eyes on the prize, and we’ll save you a seat in the sand. You’ll have earned it.